Panther Alum and Oak Park High School Freshman ~ Mackenzie King ~ is rocking right along in high school. 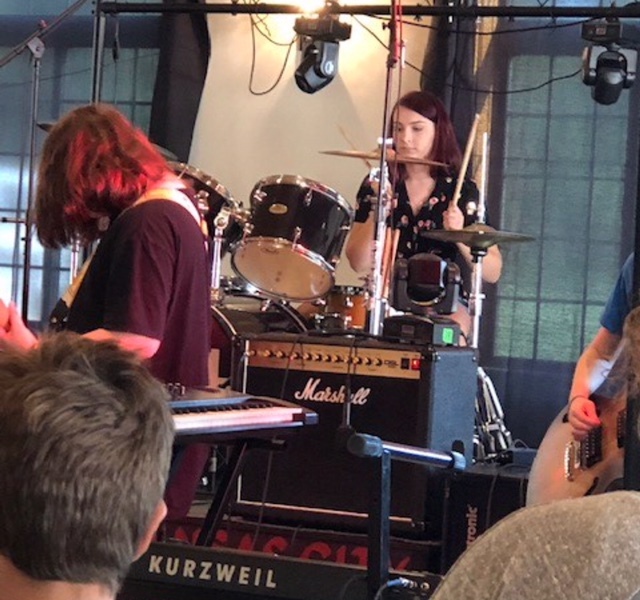 Mackenzie has been playing with the School of Rock in Parkville for three years. She plays the drums, guitar, and bass guitar. She is involved with the performance band and has performed in six season shows. Her last performance was with the Grunge Band who performed at the Worth Harley Davidson Event Center and The Venue at Willow Creek in September. 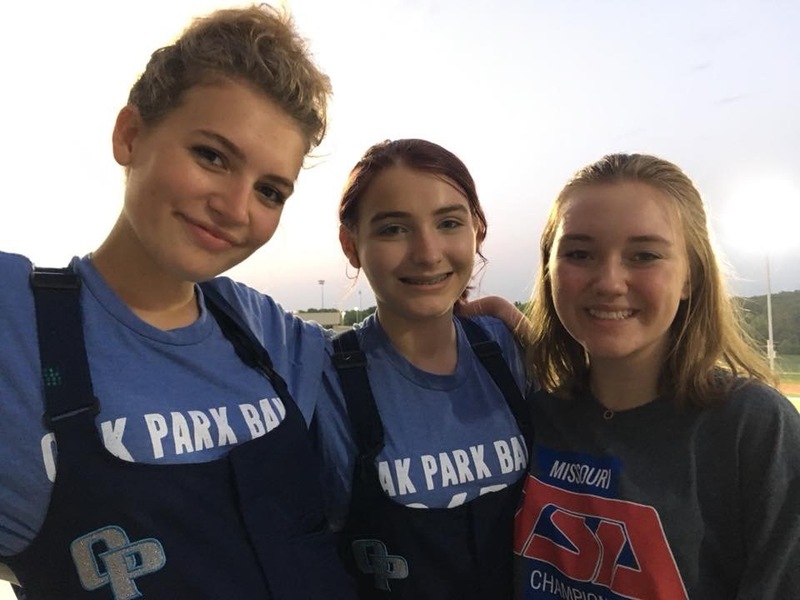 In addition to playing with SOR, Mackenzie joined the Oak Park High School band playing percussion. Rock on, Mack!